After SMAPxSMAP show was announced, we all know that Johnny’s Entertainment, the biggest artists management in Japan who owns mostly all Japanese pretty boys groups such as SMAP, Kat-tun, NewS, and Arashi, is finally taking down his war flag. No matter how many times Tohoshinki topped ORICON chart in both daily and weekly, one of the most prestigious music show in Japan – MUSIC STATION never even once, invites the boys in. According to S-San’s Blog (a Japanese staff member for Tohoshinki) the rumor that Tohoshinki has been blocked from Music Station was confirmed. On his blog he wondered why Tohoshinki was on Music Station’s #1 list this week, yet weren’t invited to perform. 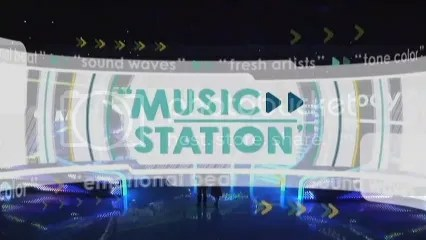 Music Station is a highly popular music show in Japan, similar to MTV’s TRL here in the States. Rumors and conspiracy theories were created when Tohoshinki received many #1’s on both the Oricon Daily and Weekly charts, yet weren’t invited to the Music Station show. Almost every other artist who were in the top 10 let alone the artists who’ve reached #1 were invited to perform. Many people believe the reason for this is because Johnny’s Entertainment has a secret pact with Music Station. However, things seem to get better now! This entry was posted on February 27, 2009 at 5:09 PM and is filed under News with tags THSK, Tohoshinki. You can follow any responses to this entry through the RSS 2.0 feed. You can leave a response, or trackback from your own site.